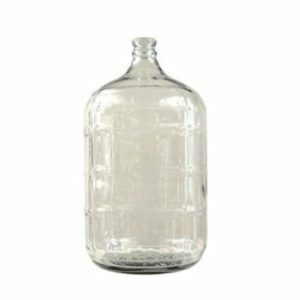 What is the Best Carboy for Brewing? When I first began brewing I remember being unsure about what type of container I should use to ferment my beer in. I watched videos of people using large plastic water jugs and glass jars but I wasn’t understanding why I would use one over the other. 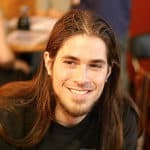 1 What is a Carboy? 8 Plastic vs. Glass Carboy: Which One Should You Pick? 9 What’s the Best Way to Transport Them? 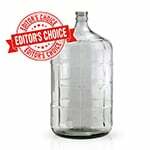 10 The Best Beer Carboy? 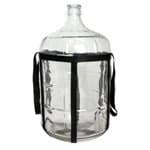 Beer carboys are essentially large vessels made of glass or plastic that have a narrow neck. This design is very important for brewing. Tapered neck and a small mouth keep things that shouldn’t be in your beer out. Homebrewers typically use a carboy as a secondary fermenter. However, they have been gaining popularity as primary fermenters as well. This what your beer is going to sit in for the duration of its entire fermentation. Both plastic and glass carboys have advantages and disadvantages. Some are heavy, some are light, some are easy to clean, and some are more difficult. These are important things to keep in mind as you look to make an addition to your kit. Regardless of which one you choose, it is going to be necessary to have at least two available and that they are going to serve your brewing needs. 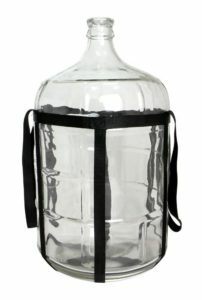 First up is the large Kegco glass carboy that can serve your mid-size brewing and fermenting needs. It has a 6 gallon capacity and is made entirely of glass. 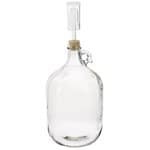 Glass makes this carboy strong and easy to clean. These qualities are incredibly important as you will be moving and cleaning your carboys a lot. Glass also does a good job of resisting odors and does a better job of keeping sediment from sticking to the sides than plastic can. Just don’t forget to get yourself a carboy cover to prevent sunlight from killing the yeast. Another advantage of a carboy cover is it can also be used as a cushion to prevent your glass carboy from shattering. At 17lbs, the Kegco glass carboy is a little heavy but it also means that it will be less prone to punctures and chipping. 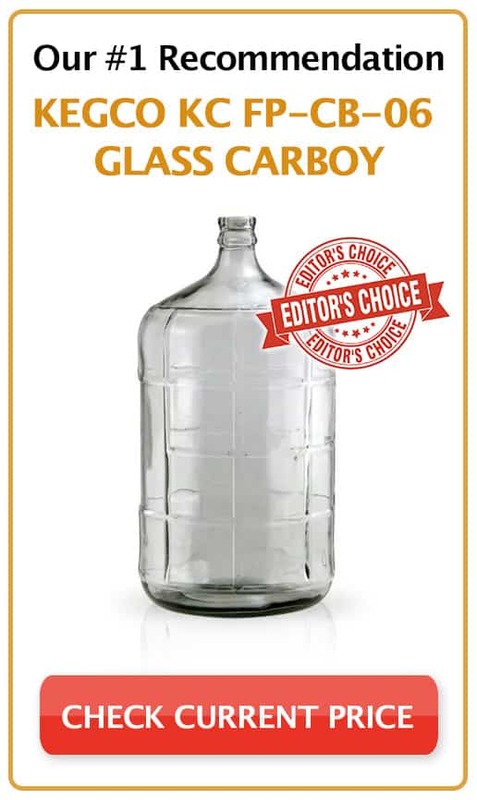 The 5 gallon glass carboy by Kegco is another solid choice. It has a 5 gallon capacity and is made entirely of glass. This strong carboy fermenter is also easy to clean and sanitize. All you have to do is add a sanitizer, let it sit, and give it a rinse. Glass makes this product very sturdy, and it will last as long as you take care of it. Although the glass is strong, be careful moving it around. The heavy glass with the added weight of your brew has been known to cause cracking, and so I recommend using a carrier with this product. Although this is meant for wine use it can easily be used to hold beer, mead, or cider. It is structurally the same as a 5 or 6 gallon carboy but only has a 1 gallon capacity. This makes it perfect for test batches and can hold the possible overflow of a larger jars. Being that this jar is so small, it is easy to store and move. It also makes it even easier to clean than a larger carboy. Sometimes with a larger jar, you have to use a brush or use a specialized tool to clean the inside. With this guy, you should only have to let your cleaning solution soak and then give it a good shake. There have been times where the yield on my beer has been much lower than I expected. In those times, I wished I had a smaller carboy on hand. Eagle’s FE310 Glass Carboy would have been perfect in these situations. This jar has a 3 gallon capacity and is much easier to manage than a 6 gallon; it is light, easy to clean, and doesn’t take up as much space as a typical carboy does. However, its smaller dimensions may leave you asking for more. Because it is a little smaller, you won’t be able to count on it for most of your batches as they will most likely turn out more than 3 gallons. Don’t want to worry about breaking glass and hauling around a heavy carboy? 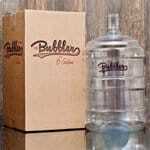 Then Northern Brewer’s Bubbler is the perfect solution for you. It is constructed from safe PET plastic and won’t shatter like glass. This particular plastic is safe for aging beer as it is not permeable to oxygen because of its airtight design like many other plastic carboys. 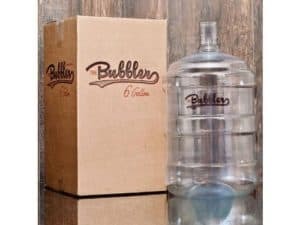 It has a 6.5 gallon capacity and is an excellent glass alternative. It also protects your brew from bacteria and spoilage. You can also save storage space because it has a smaller base diameter. Plastic vs. Glass Carboy: Which One Should You Pick? Choosing between a glass or plastic carboy can be a tough decision. When you are trying to decide which one would be best for you, keep in mind the amount of storage space you have, how often and far you will be moving them, and how much time you plan on spending cleaning your carboys. Glass is strong and virtually nonporous. This means you will be able to move your jug without worrying about chipping or denting plastic. It also means that you spend less time cleaning and sanitizing. Just don’t forget to get a carboy cover for your glass carboy to prevent sunlight from killing the yeast. Glass has many advantages, but these advantages also make it heavier than plastic. If you have to move up and down stairs frequently a plastic carboy may be a better choice for you. Food grade plastic has come a long way as it made to be BPA free and take a much longer time to degrade the plastic carboys of the past. This is how most plastic models are made now. What’s the Best Way to Transport Them? Given that carboys are pretty heavy, especially the glass ones, you might be wondering what the best way to transport them is once they are full. Well, some plastic models have handles, but even those can be a bit flimsy. Carboy handle – This handle clamps onto glass carboys and is designed for one-handed lifting. Carboy handles allow you to easily move your carboys from one place to another. 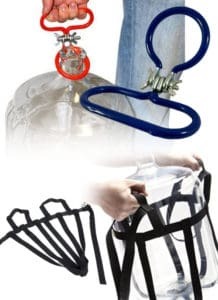 Carboy carrier – This carrier allows you to carry your carboy like a backpack, making movement easier. It has the added bonus of being easily transferrable from one carboy to another. These are all great carboys, and you’ll most likely be happy with any of these five. However, the Kegco KC FP-CB-06 Glass Carboy is going to be my top choice. They are made beautifully with nice thick glass and designed well for brewing. Personally, I prefer glass carboys. I dislike having to use a brush like I have had to so many times on plastic. This is a huge time saver and means I can spend more time focusing on the finer details. I do have to carry my jars up and down a flight of stairs, but I really don’t mind. I keep them in a plastic milk crate that makes them easy to carry. The glass also makes me feel confident that I won’t have to replace my carboy ever.